Description: Canada’s true pioneers of rock and roll, CROWBAR will be performing at the main stage at the Eight Annual Stonebridge Wasaga Beach Blues Festival Saturday eve. 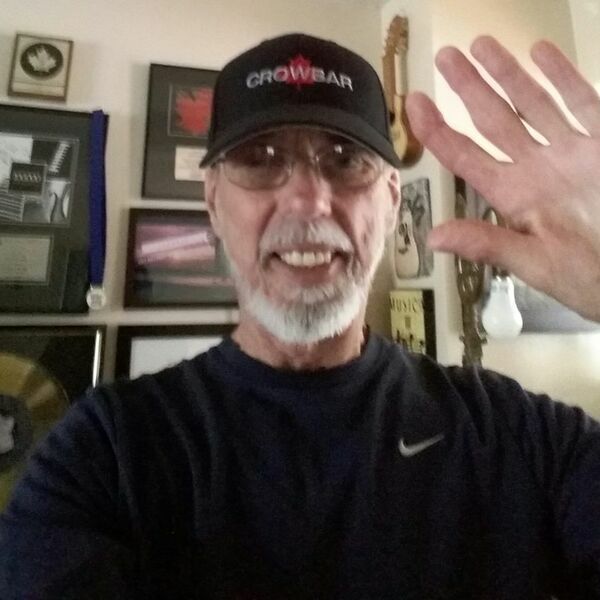 With over 50 years of experience Crowbar has a rich history on the Canadian music scene. Their hit song “Oh What A Feeling” was known as Canada’s second national anthem according to Jeff Healy. Joining Dianna via phone for this SPECIAL SHOW is the original bassist, Roly Greenway. Roly has an incredible musical career having grown up with a musician Dad, he started playing around 12 and has never looked back. For more information visit crowbarcanada.com or their Facebook page. Please enjoy & share this Special Local Programming from Beach BOOSTER Radio! Canada’s true pioneers of rock and roll, CROWBAR will be performing at the main stage at the Eight Annual Stonebridge Wasaga Beach Blues Festival Saturday eve. With over 50 years of experience Crowbar has a rich history on the Canadian music scene. Their hit song “Oh What A Feeling” was known as Canada’s second national anthem according to Jeff Healy. Joining Dianna via phone for this SPECIAL SHOW is the original bassist, Roly Greenway. Roly has an incredible musical career having grown up with a musician Dad, he started playing around 12 and has never looked back. For more information visit crowbarcanada.com or their Facebook page. Please enjoy & share this Special Local Programming from Beach BOOSTER Radio!